After awakening from its long communist slumber, Russia in the 1990s was a place where everything and everyone was for sale, and fortunes could be made and lost overnight. Into this free-market maelstrom stepped rookie "Wall Street Journal" reporter Matthew Brzezinski, who was immediately pulled into the mad world of Russian capitalism -- where corrupt bankers and fast-talking American carpetbaggers presided over the biggest boom and bust in financial history. 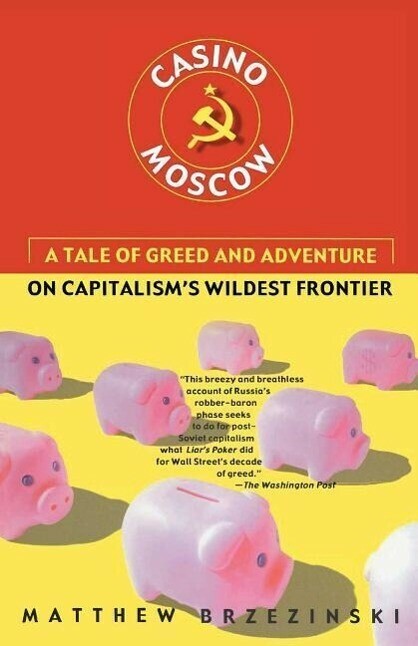 Brzezinski's adventures take him from the solid-gold bathroom fixtures of Moscow's elite, to the last stop on the Trans-Siberian railway, where poverty-stricken citizens must buy water by the pail from the local crime lord, and back to civilization, to stumble into a drunken birthday bash for an ultra-nationalist politico. It's an irreverent, lurid, and hilarious account of one man's tumultuous trek through a capitalist market gone haywire -- and a nation whose uncertain future is marked by boundless hope and foreboding despair.